As part of the Microsoft Build event, we are announcing a developer preview of the Data Connector SDK. You can begin to create your own custom data connectors. What are data connectors? Simply put, they are how you connect to data within Power BI. These are extensions on the connectivity/Mashup engine that powers the “Get Data” experience in Power BI and Excel. You can see examples of data connectors, within Power BI Desktop, by going to Get Data. 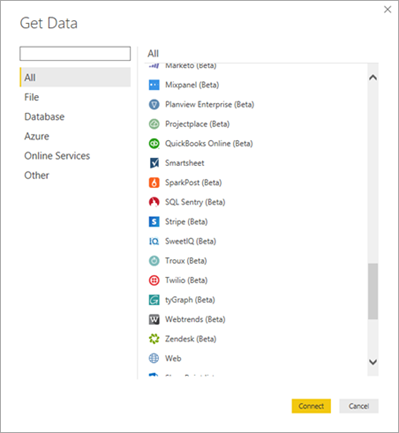 Data Connectors for Power BI enable users to connect to and access data from your application, service, or data source, providing them with rich business intelligence and robust analytics over multiple data sources. By integrating seamlessly into the Get Data experience in Power BI Desktop, data connectors make it easy for power users to query, shape and mashup data from your app to build reports and dashboards that meet the needs of their organization. Data connectors are created using the M language and allow you to define new functions for the M language and can be used to enable connectivity to new data sources. You can begin to use the preview by installing the Power Query SDK from the Visual Studio Marketplace and creating a new Data Connector project. You can define your logic within this project. Building the project will create an extension file. You will then want to create a directory called extensions within your Power BI Desktop\bin folder. It should be in C:\Program Files\Microsoft Power BI Desktop\bin\ by default. Then copy the extension file to that directory. During this preview, you will need to enable an environment variable to enable the use of extensions within Power BI Desktop. Custom Data Connector consumption experiences will be offered as a preview feature within the Power BI Desktop options starting with the June release. You should see your connector in the Get Data list. 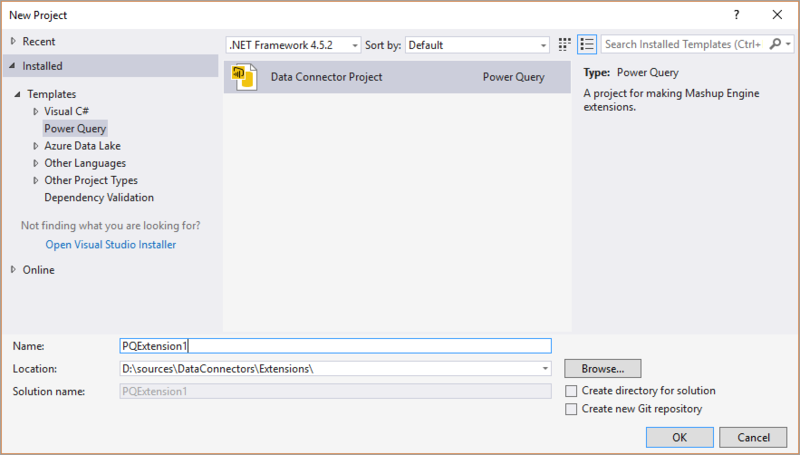 Currently, Data Connectors are only supported in Power BI Desktop. More improvements and updates are coming, and you can stay tuned to the Power BI blog for these updates. Please give the preview a try and share your feedback! You can provide feedback, report issues or add feature requests through the GitHub issues page of the Data Connectors repo.